Consulant for Medical Practices & Alternitive Health Professional Practices in NY Metro Area, PA, CT, NJ and Mass. Specializing in Revenue-Producing Wellness Programs, Services & Nutraceuticals for Physicians, MDs, DOs, DCs and allied health practitioners. 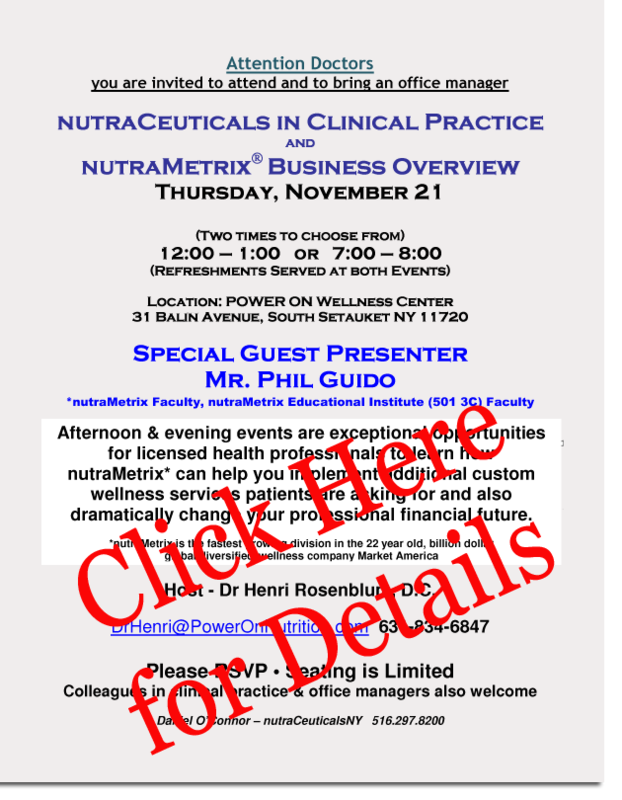 "nEI -- Advanced Nutrition Principles & Nutraceutical Applications for Clinical Practice"
To Register: Complete the registration form found in the nEI brochure and fax it to 336-605-0041. 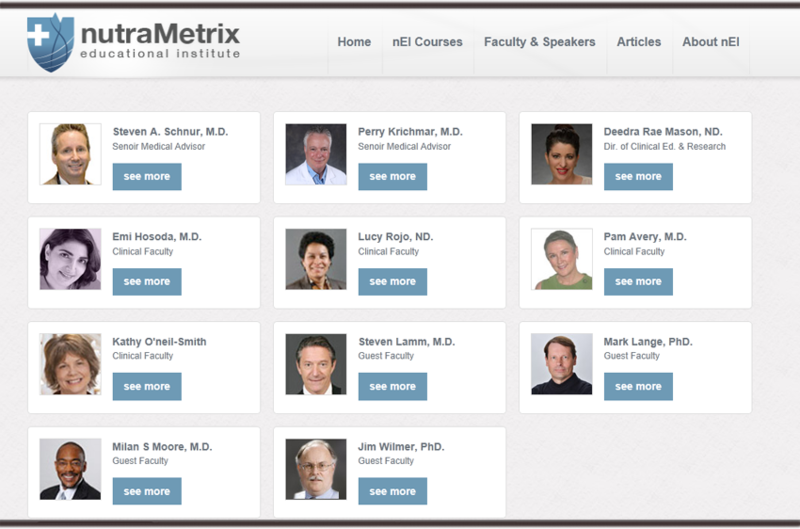 Additional forms can be found at http://www.nutraMetrix.org/nei under “Courses” tab. register for an nEI course. nutraMetrix certification training is a 3 day intensive training that provides prospective NCs with the tools necessary to help successfully implement nutraMetrix into health professional practices. NC training covers why health professionals need wellness programs, what to look for when choosing nutraceuticals, and detailed information on nutraMetrix products and services; including targeted health regimens, our new Elite Program, the Transitions® Lifestyle System, and much more. NCs will learn how to approach referral health professionals and help them achieve their business goals while improving the health of their patients.